The key feature of Apple Watch is to acknowledge us about any new message or call by notification. 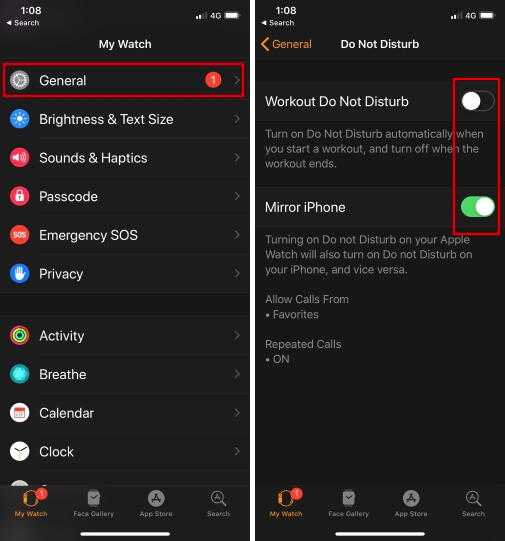 When you first set up the Apple Watch, by default, it follows the settings of iPhone like if you have enabled Allow Notification for the particular app then only the Apple Watch will show you notification of that app and same goes for iPhone. In short Apple Watch is incomplete and of no use without iPhone. Mosty Apple Watch is Handy to find notification like WhatsApp Notifications, Email Notifications, Text Notifications, Snapchat Notifications, Maps, Instagram, Facebook and Activity Notifications and many others. However, in some case, your Apple Watch Series 4 notifications don’t appear due to unknown reason. 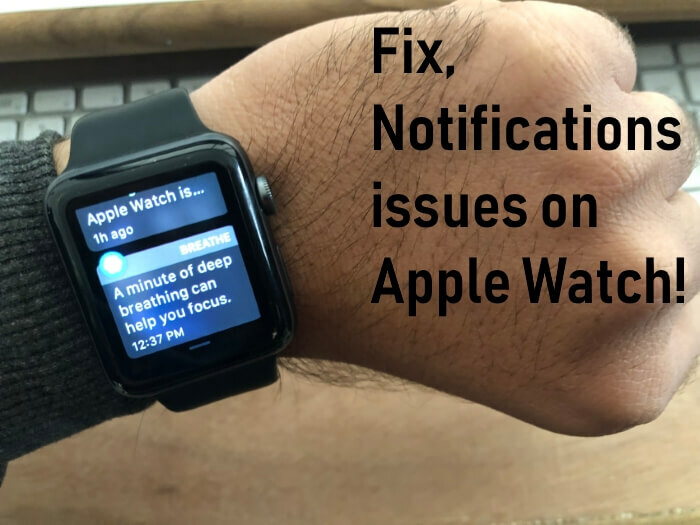 To get back this facility and make your Apple Watch Series 4 worthy, we have gathered a few methods to fix Apple Watch notifications doesn’t appear. Most of the people forget to disable Do Not Disturb mode, after using it. And Do Not Disturb will obviously prevent the notifications from your Apple Watch. 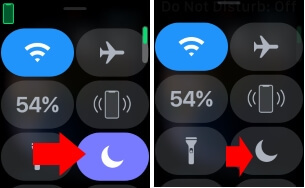 Disable the Do Not Disturb mode from the Control Center on your Apple Watch. The unique feature of Apple Watch is, it always follows the path of iPhone. That means all the settings you have customized in the iPhone will reflect in your Apple Watch. 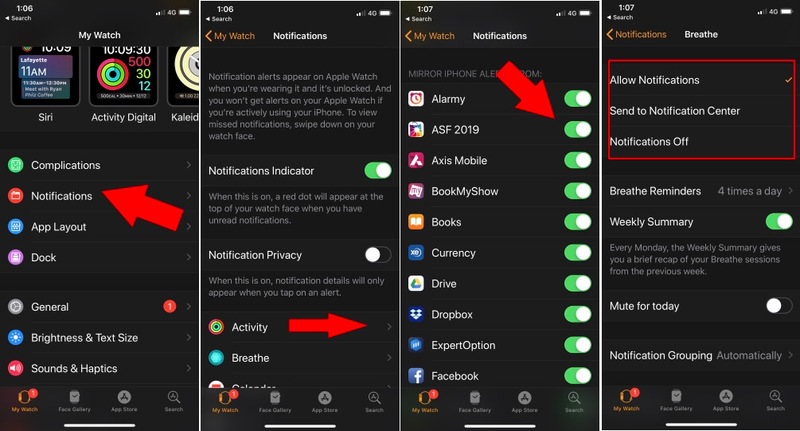 For instance, you have disabled the notifications for a particular app in iPhone; then you won’t receive any notifications in your Apple Watch too. So make sure to enable or customize the notification settings in iPhone. 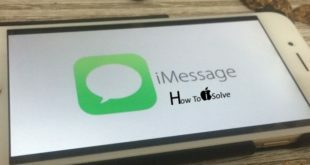 Step #4: Tap on a specific app that is causing trouble. Step #5: Now, if you want the same settings of iPhone to be continued in Apple Watch, then select “Mirror my iPhone”. Step #6: Or if do you want to customize then, tap on “Custom” and make changes as you wish. Typically, the function of Cover to Mute is to silent the watch whenever you receive any notification. Just by covering the Apple Watch with your palm you can mute the notifications. You need to check if this setting is enabled or not. Step #1: Open “Watch” app on your iPhone. Step #3: Tap “Sounds & Haptics”. Step #4: Toggle it OFF for once. Check if the Apple Watch Series 4 notifications don’t appear is fixed? If yes, then you can follow the same above steps and enable the Cover to Mute feature. Turning Off wrist detection will help you to determine whether the issue is with the sensor or software. First of all, disable Wrist Detection. Step #1: Launch the “Watch” app. Step #2: Tap “My Watch”. Step #4: Toggle off “Wrist Detection”. Erase all content and settings on Apple watch is an amazing solution for all kind of software issues like this. Because Notification on Watch is very important for Apple Watch users. You can do it from Eighter Apple Watch or From iPhone’s Apple Watch App. On your Apple Watch: Go to the Settings > General > Reset > Erase All Content and Settings. On your iPhone: Open Watch app on iPhone > My Watch > General > Reset > Erase Apple Watch Content and Settings. on Next Re-Pair Apple Watch with iPhone, You can restore old settings on your Apple watch. From now if the notifications are working like before, then the problem is likely to be with the sensor that detects your wrist.